Looking for a way to make extra money? One of the many ways people recommend is to sell on Amazon. But, how do you do that exactly? Do you just list that you’re selling things and send everything to individuals? 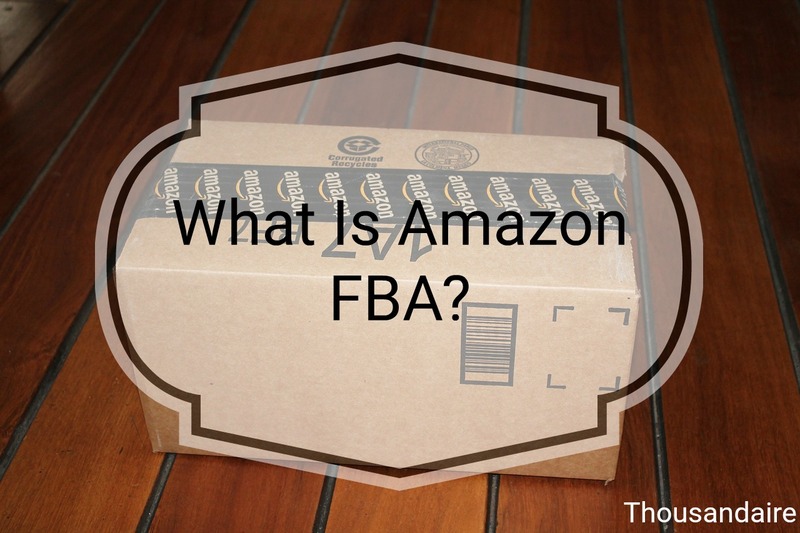 What is Amazon FBA? Is that the way I need to go? Amazon FBA is Fulfilled By Amazon. Basically, it means that though you’re the one selling the item Amazon is fulfilling that order. They will ship the order to the customer, deal with any customer service issues, as well as hold your inventory in the interim. Amazon FBA sounds great, and it is, but keep a few things in mind. Amazon takes fees every time you sell something, and they take even more fees if they are the ones that are fulfilling the order. On top of that if your inventory sits in their warehouse too long they start charging you additional fees. So why would anyone want to sell Amazon FBA when you can make more money doing Merchant Fulfilled (where you ship to customers yourself)? Well, if you are only going to sell a few things a month then you should do Merchant Fulfilled. But, if you’re going to be sending in hundreds of items monthly, do you want to store all of those things in your house, package each individually, send directly to every customer with your address on it? Also, when a customer returns an item, it will come back to you instead and if you don’t have another to exchange it for then you are just out the money whereas Amazon may be able to keep the customer happy and not lose you money. One of the big questions I get is “how much money can you make from selling Amazon FBA”, and the answer is it depends. With everything in life the more you put into it the more you get out. If you have only $100 to invest in inventory you may want to wait till you have more as the shipping fees will eat up a lot of your profit. I recommend starting with no less than $500 worth of inventory and that you send in no less than that in. Also, make sure that you’re set to make at least 50% ROI or it’s not going to be worth it. At first, it’s going to feel like you aren’t making any money at all, but after a while, you get the hang of things and you can make an extra $100 a month of an extra $10,000 it depends on the work and capital you put into it. First, sign up to be an Amazon seller, then download the app and go to retail stores in your area looking for things to sell. It’s going to feel like a treasure hunt at first and you’ll be excited. If you find something worth buying you’ll feel great, if not you’ll become discouraged. Don’t worry, I’ve been doing this for nearly 2 years and there are days I come home with nothing too. Tyler, I have several friends who sell books who end up doing both because of the costs. For instance, one person has a dollar and sales rank limit before he’ll do things FBA. Now, maybe that’s because he has multiple unique items instead of duplicates, but do you make a similar calculation? Oh, most certainly you have to have guidelines for buying and selling. I typically stay away from anything selling on Amazon for less than $35, though I do make some exceptions to that rule. The good thing about it is that you see how much the fees will be before you buy the item so you can factor that into the purchase price and tell if it’s worth it or not. What kinds of things are you looking for when you go out to stores? Mel, I typically go for electronics and toys which have become my bread and butter. However, kitchen things can also be a good stop. If you get ungated in clothes and shoes those too can be good. Really anything you can think of that will sell. It sounds pretty interesting. With Amazon charging you additional fees if your goods are in their warehouse too long, I’d want to have a pretty good sense of what will sell before I sent them any inventory. Are certain products better to sell? Like, would clothes sell well on Amazon or is that better suited to Ebay? Honestly, Melissa, I don’t know anything about selling on eBay, though I need to look into it. With Amazon yes, of course, certain things sell better. The way to tell if something is going to sell is by the sales rank, though there are other things to consider as well. For instance, if someone finds something that is ranked less than 40,000 in toys that is a fantastic sales rank. But, if there are over 200 people selling that same item it will be a while before you are in the buy box to sell yours. However, something ranked 100,000 with only 2 other sellers will sell pretty quick.